Lawrence Heights is Toronto Community Housing's largest Revitalization project and almost double the size of Regent Park. 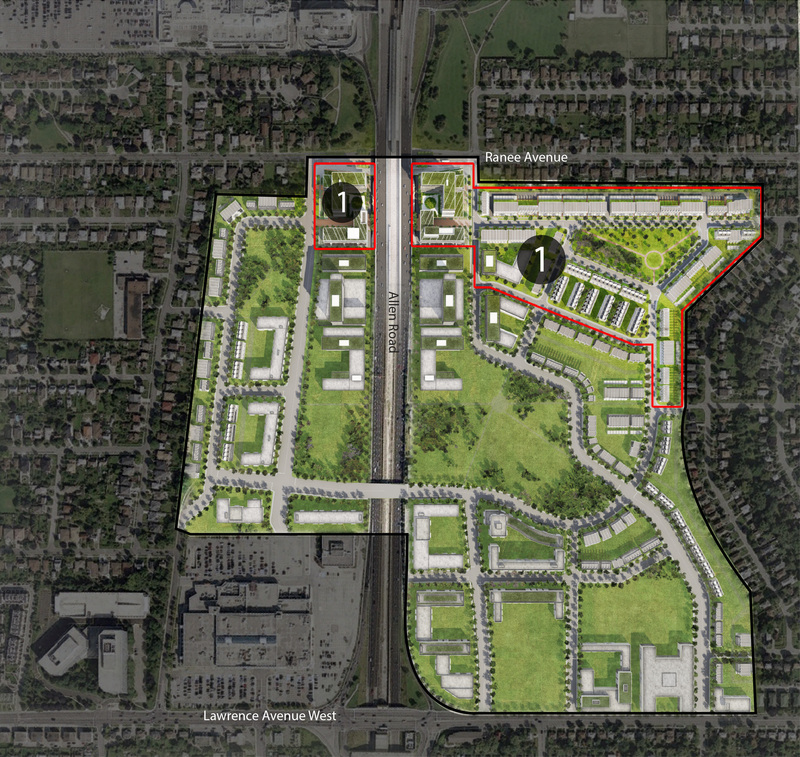 Through Revitalization, this 100-acre site (40.5-hectares) south of Yorkdale Shopping Centre will be transformed into a vibrant, mixed-income community. Revitalization will include replacing 1,208 Toronto Community Housing units and building over 4,000 new private market units, along with new parks, retail space, and roads connecting Lawrence Heights to the surrounding community. This plan for Lawrence Heights reflects years of input from residents, neighbourhood organizations and the City of Toronto. Amenities: New public parks and open space in Phase 1, full Revitalization will include new public parks, school and community centre, and new retail. As part of their commitment as the developer partners for Phase 1, Context and Metropia (Heights Development Inc.) contributed $500,000 in 2013 to establish the Building our Future: Limitless Heights Scholarship and committed to $3.5 million worth of resident employment and training. To date, 100 scholarships valued at $356,000 have been awarded, and more than 44 new jobs have been created for Lawrence Heights and Neptune residents. This is in addition to the nearly 200+ employment and training opportunities created by Toronto Community Housing in Lawrence Heights since 2008. Construction in Zachary Court is nearing completion. The first new rental building at 20 Zachary Court is expected to open in Fall 2018. Relocated tenants will have an opportunity to move into the new building. Which units are next? And when? Construction at 1 Leila Lane began in 2017. A new road, New Heights Court, has been constructed. The second new rental building at 20 New Heights Court is expected to be complete in Winter 2019. The following units in Phase 1 will be relocated and demolished: 15-29 and 111-121 Bagot Court; 1-87 Bredonhill Court; 85-119 Varna Drive; and 1-7 and 2-16 Cather Crescent. Relocation for these areas will take place in Summer / Fall 2018. When will the first units be ready? We anticipate the first units will be ready in 2018. Will there be noise and dust? The construction manager will make every effort to limit noisy activities within typical working hours and regularly scheduled vibration monitoring will occur as part of the requirements of the building permit. Regular street sweeping and other dust control measures will also be applied to minimize and reduce the scattering of dust and debris. 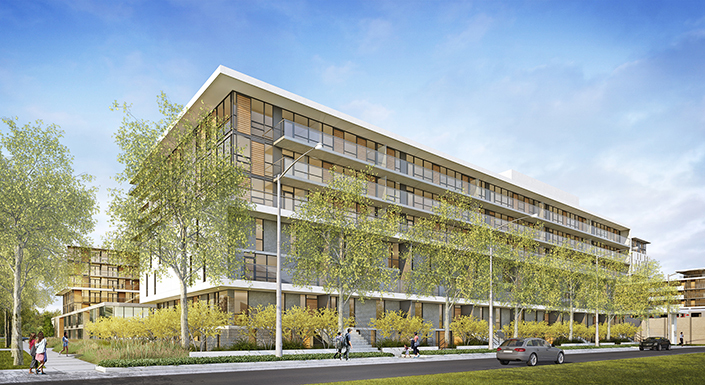 Toronto Community Housing Board of Directors approves entering into a partnership with Context and Metropia (Heights Development Inc.) to construct Phase 1 of Lawrence Heights. 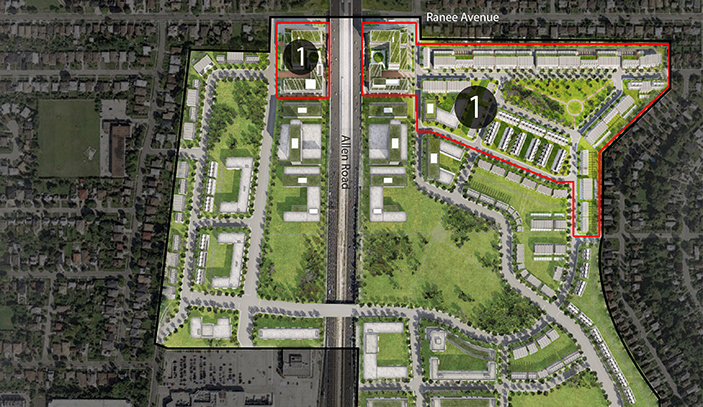 City Council votes to adopt a Social Development Plan for Lawrence Heights.